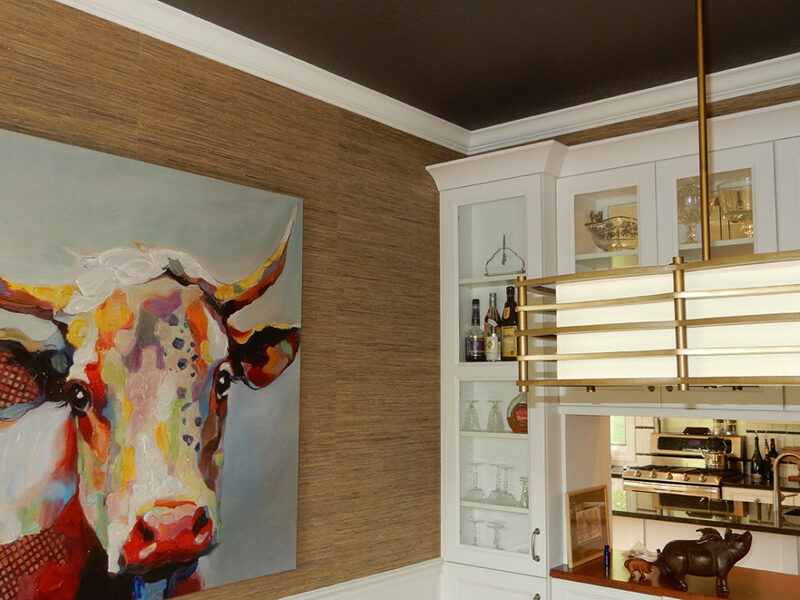 Dwayne wanted to create a cozy and inviting dining space. 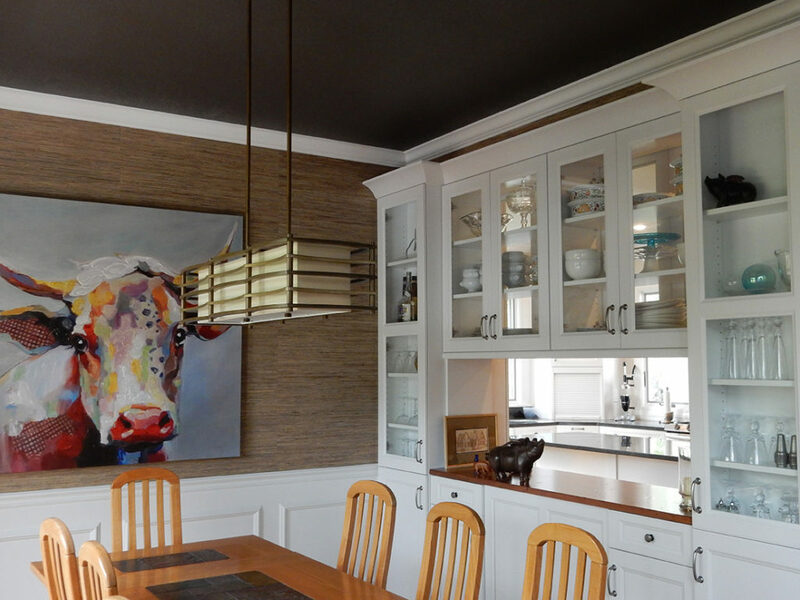 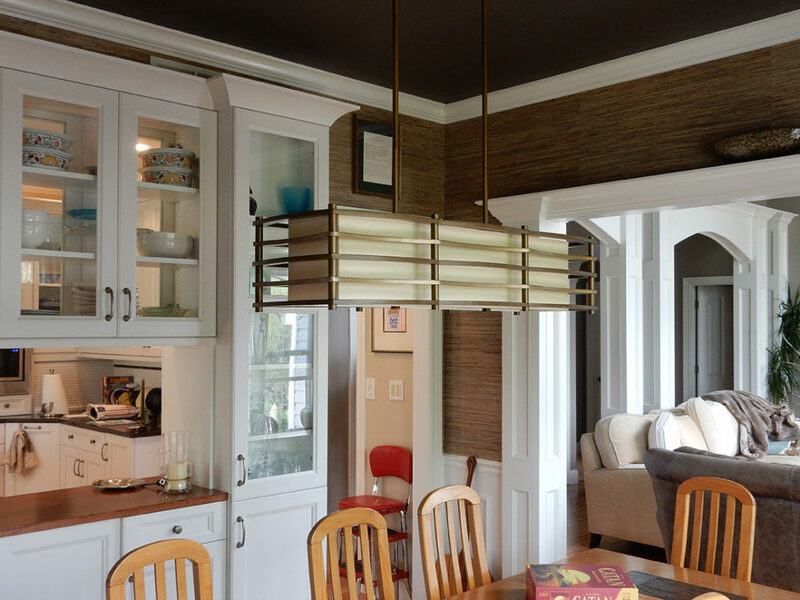 He chose subtle, but inviting colors—a warm chocolate brown paint for the dining space that perfectly complements the color pattern in the grasscloth wall treatment. 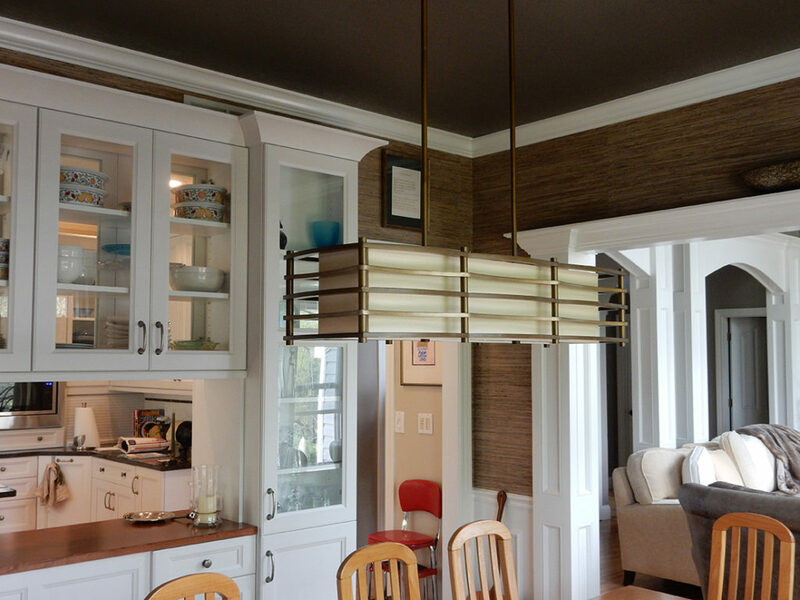 Ceiling paint is a great way to add visual interest to a space and accent crown molding.